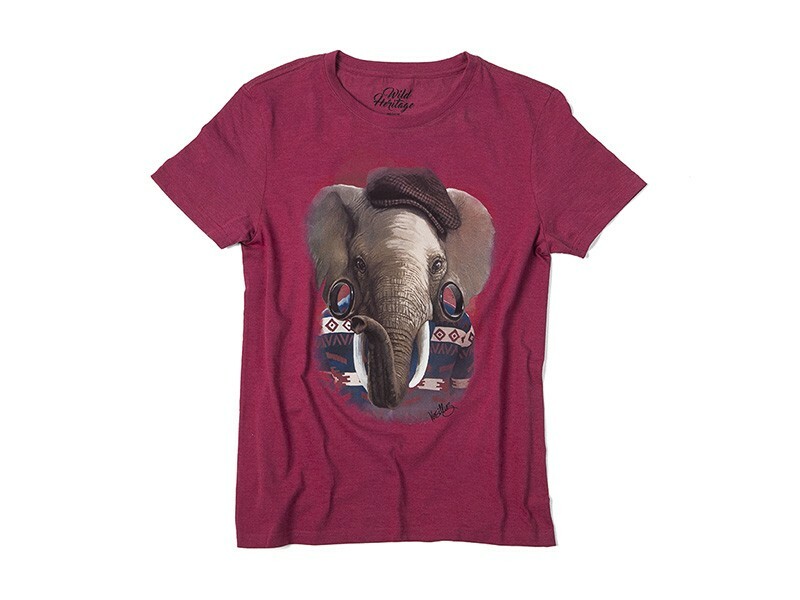 Wild Heritage elephant mens t-shirt - Grey. Image shown is the actual print. Medium size.